Its ruling plant is MARS. 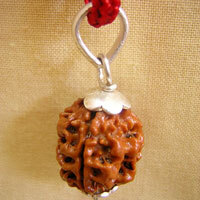 This Rudraksha Represents Fire god Rupam The wearer too gets free from sins or wrongs ideal for those when suffer from Inferiority complexes Subjective fear, Guilt depression and weakness. 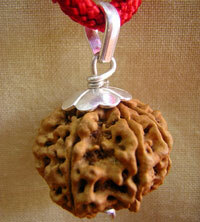 Its ruling planet is mercury, this represents Goddess Brahma Rupam. The wearer gain Power of creativity when blessed very effective for student’s scientist’s researchers, scholar’s artists, writers & Journalists Increases memory power wit and intelligence. Recommended: for Brain related illness, stammering memory lapse, coughs. 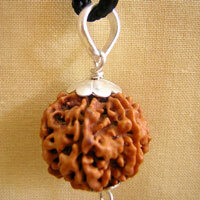 6 Mukhi Rudraksha Six Face its ruling planet is venus. 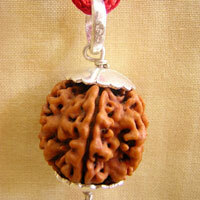 This Six Face Rudraksha is represents god karthikeyan Rupam. It blesses wearer wisdom. Increased intelligence, will power and steady mind good for managers business men executives. Journalists and artists. Recommended : for BP Astana, Mental Disbility. 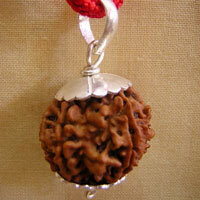 Its ruling planet is Rahu this Rudraksha represent Lord Ganesh it removes all obstacles are bring success and help all live happiness fame good health increase confidence it gives wearer all kinds of attainments Riddhies Siddhies. Recommended : Body pain, Fever, Bowl pain. 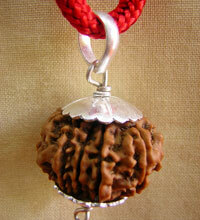 This Rudraksha Represent lord Hanuman. When invoked blesses with wisdom right judgment, powerful vocabulary adventurous life and success. Recommended: for hormonal imbalance in the body Backend. This Repersent Lord Sun. It is good for Higher Society people business man, Executives and politicians. 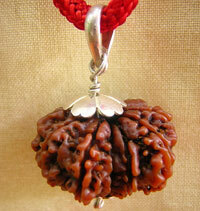 Hence it is embodiment of Twelve Different facets god surya Twelve virtues of light of universal friend ship. Lord Sun blesses an owner of Twelve Mukhi Rudraksha with a life of Rich people surrounded by unlimited luxery wealth and authority. Recommended : Heart Disease Lung and Skin Diease, Hiatus of stomach. 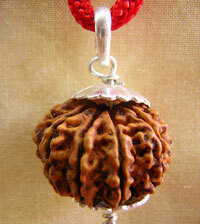 This Represents Lord Indira Wearer will be blessed with luxurious life & prosperity. 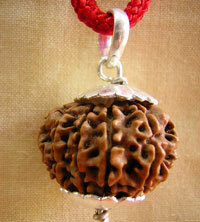 Thirteen Mukhi Rudraksha prosesses divine power, Therefore it inherits virtues like love affection beauty and attractions as its attributes it gives riches and honor and fulfill all the earthly desires and gives eight accomplishments (siddhis) all god cupid (kamadeva) pleases with the man. 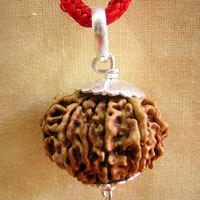 This Rudraksha Represents Lord Paramasiva. 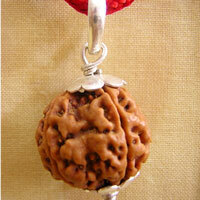 It is most precious divine 'gem' Boost superior qualities increases prosperity knowledge. 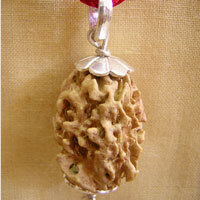 It awake as the sixth, sense good health, it's wearer gets rid of the all calamities miseries & worries. It provides wearer safety and riches. It is also worn the forehead or arm.